Hi everyone,I have another one of the gorgeous new images from the"Butterfly Collection which are avalable as a Digital Download over Bizzy Bec's to share with you. 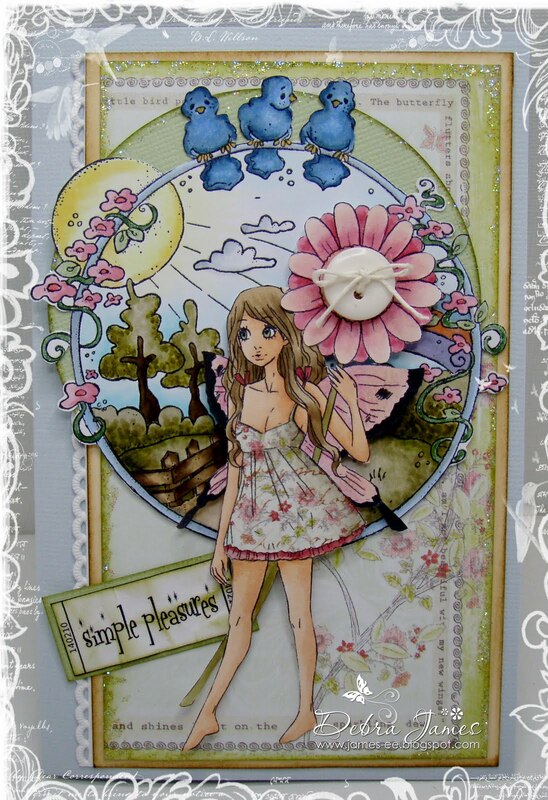 I created my card with the Magnolia Background Stamp - I love this stamp, so very versatile and is from the latest Magnolia Collection and Digi Ticket Sentiment that are also available from Bizzy Bec's. Wow! Gorgeous card!! The image and the background work so well together and your colouring is fabulous. Oh, she is absolutely gorgeous.